If you're new to the blog, you may or may not have heard of Whimsey Box; it's a subscription service that mails you a box with a different DIY project each month. My parents bought me a year subscription for Christmas last year, and I've been enjoying it ever since! I was hoping it would help spark some of my creativity outside of the kitchen... truth be told though, that hasn't really been the case. But! 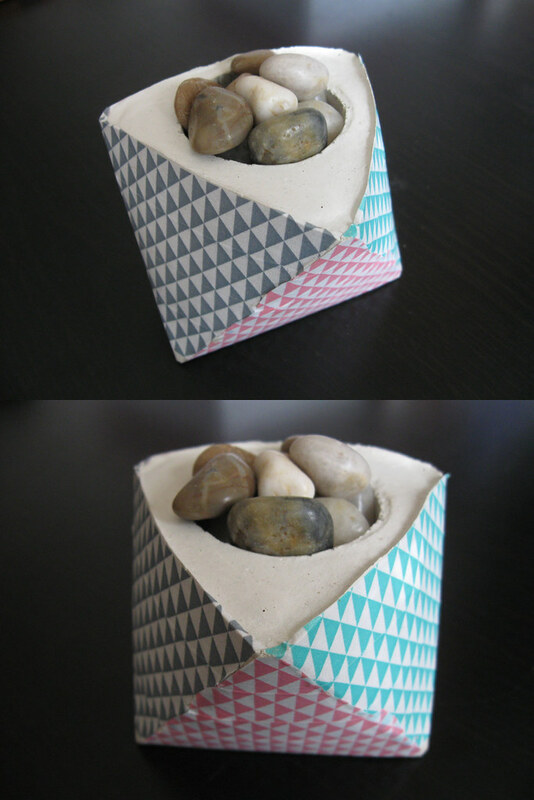 I've been having fun doing the different Whimsey projects each month and I always look forward to my next box. They always send you something extra too, like tools or washi tape, and you can repurpose the boxes once you've finished the crafts! 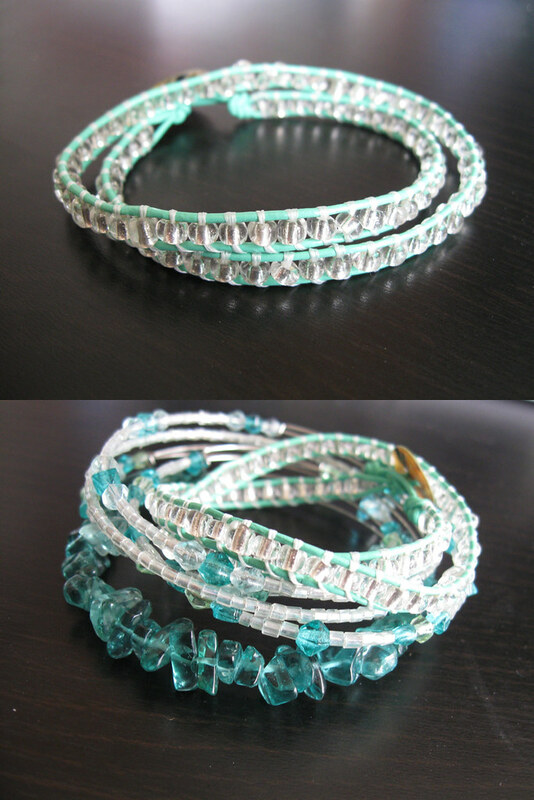 The latest box showed you how to make a funky beaded cord bracelet. Lucky for me, the cord they sent me matches perfectly with some existing bracelets I had! This one was particularly fun because I could work on it while catching up on some Netflix shows... I don't usually watch tv on my own because I feel like there are so many other things I could be doing! I've also been longing to add more bracelets to my jewelry collection, so this month worked out well. 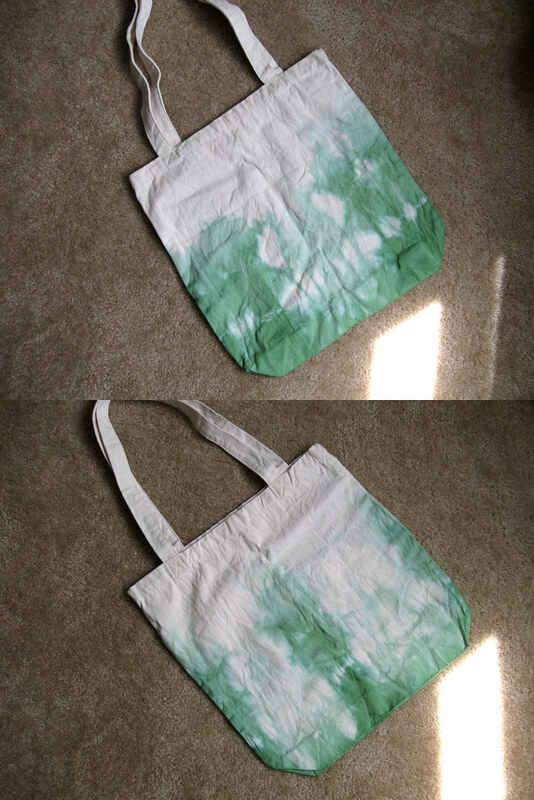 Last month's box contained a tote bag and two different color dyes, along with rubber bands and squirt bottles. This was fun, considering I can't remember the last time I dyed anything other than my hair. I went with a simple tie-dye effect, and told Shawn he can embellish it with some of his drawings if he'd like. He hasn't taken me up on it yet so maybe I'll try dying it again with the other color (orange). I got this project right before we moved, so I waited until after the move to make it. It was supposed to be a cement air plant planter, but my air plant died :( so now it just holds rocks. I decorated it with washi tape, but I don't really like the way it looks so I may end up peeling that off and trying something else. It was really fun to work with cement though - it's definitely not something I would have thought to do on my own! So, if you're crafty or you'd like to be, I highly recommend getting a Whimsey Box subscription. Every box is different, so there are crafts for all types. (Here's what my first one looked like.) It's also worth noting that their customer service is awesome - when we moved, one of my boxes got lost in the mail and they happily sent me a new one, after emailing back and forth about the issue. Alicia (the founder) also keeps up with whimseybox hashtags on instagram; it's nice to see that she's so involved and enthusiastic about the company. You can also check out other people's projects on their website! I have yet to upload mine, but it's really fun to see what other people are making in the craft world. It's like taking Pinterest, and stepping it up a notch.